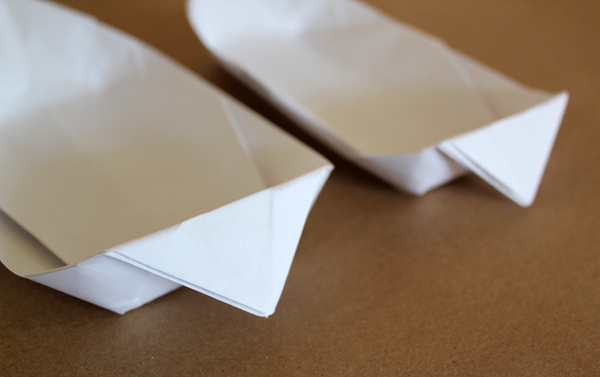 I know this is a little late in the game for an Easter craft, but the idea only occurred to me yesterday when we had some friends over and I was making paper planes and boats with them. 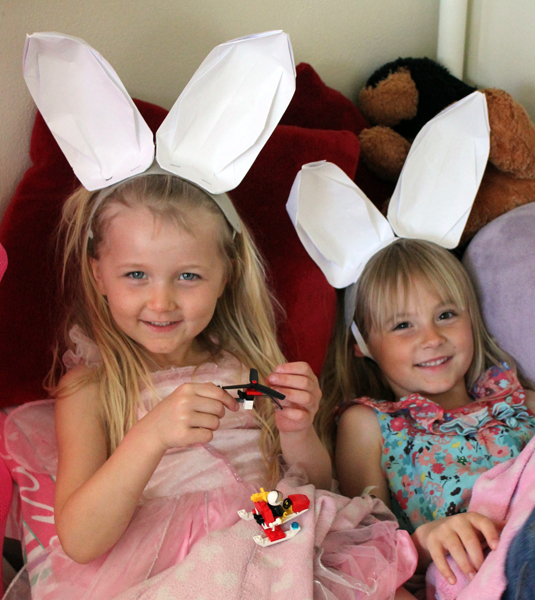 We made these headbands today for the kids that were hunting for eggs in our back yard. Very quick and easy to whip up! 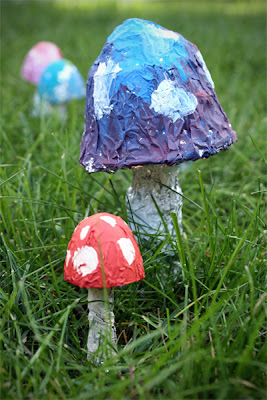 Thought I'd get a post up quick in case you want to make some with the kids on Easter Monday. 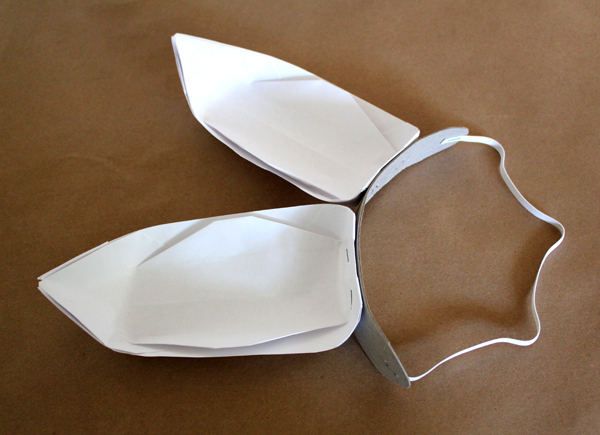 All you need for one pair of bunny ears are two sheets of paper, a stapler a strip of card and a little bit of elastic. 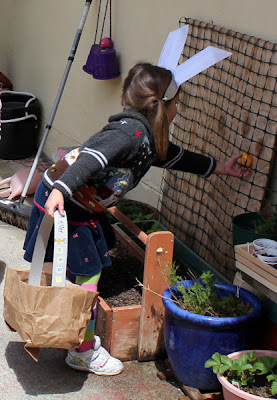 If you've been hanging out with us here for more than a year or so then you might remember a post way back about "origami for preschoolers" that I wrote. Well, in that post is a little tutorial for how to make the paper boats that we used to make these bunny ears. It's a quick little bit of origami that you can use a regular bit of A4 or letter sized piece of paper for, so you don't even need to cut paper to be square like you have to with a lot of origami. 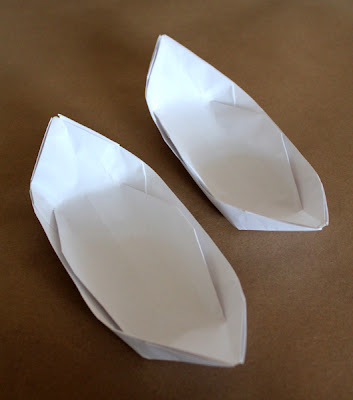 Fold up and turn out your two sheets of paper into two little origami boats following the instructions in the "origami for preschoolers" post. 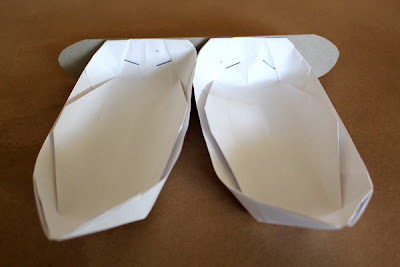 Then fold down one end of each of the boats like this. and staple them to the strip of card you have cut out. 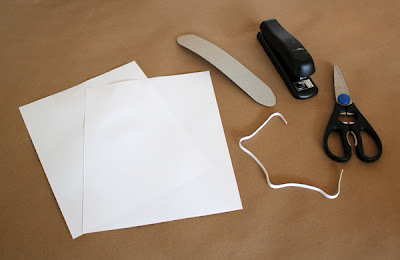 Then you just need to staple on your elastic at the right length for whoever is going to wear them. Easy peasy! Some of the kids we made them for decorated theirs with markers, but I didn't get any good photos of those. 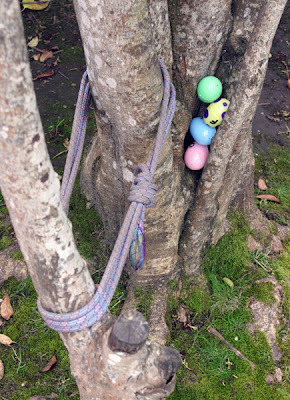 We did our slightly unusual version of an egg hunt again this year. I wrote about how we do our egg hunts in this post from last year. It's just much nicer to have the kids all working together to find everyone's eggs. They even found eggs for my friends baby, who is nearly one (we filled them with rice and other noise making stuff and hotglued them closed, so she had six different sounding rattles). 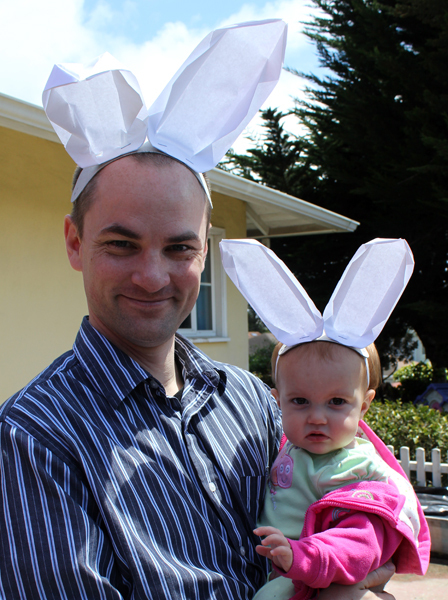 Here's the gorgeous girly with her dad, both sporting a pair of the ridiculous bunny ears (hers were made from half sheets of paper). Too cute! Ooh and one last thing... Don't throw out any of those plastic egg bits, even if you've lost one half of them, because they make great little toadstools for fairy circles in the garden! Ancient post on that project can be found here. I've got some more things that I have been meaning to post here on Filth Wizardry, and hopefully I'll get to that now that the pace has slowed down and we're on spring break here. I'm at 32 weeks right now with the baby manufacturing process, so a lot of effort has gone into sorting out our veggie growing and things like that, before I'm "too big to dig". 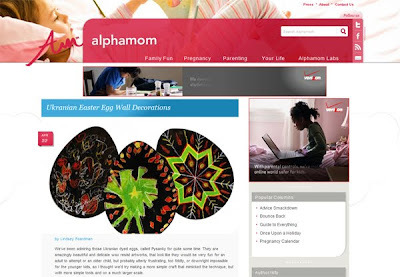 Paul's made some pretty cool stuff lately that he needs to find the time to write about on his blog too, so when he manages that I'll post a link over to his projects from here, because they are things that the kids have been involved in creating too. Happy earth day! Kiss a worm! Actually don't, my five year old kisses enough worms for all of us ;) Blerch!